Typically, when you hear about day centers, you hear the horror stories. In the past week, a day care center in Texas allegedly used duct tape to hold children down while they were supposed to be napping. Another in Georgia is being invested to figure out whether an 18-month-old child was badly burned at the facility. In the most tragic case recently, a five-year old died a month ago at a day care facility in Michigan City, IN, after being chocked by a rope hanging from an outdoor play equipment. Related: Should You Leave Your Home to Your Kids? You rarely read about the caring and committed childcare professionals who are not only trustworthy, but who enrich children’s lives and help socialize them. They’re one of the reasons the day care business in the U.S. is thriving. 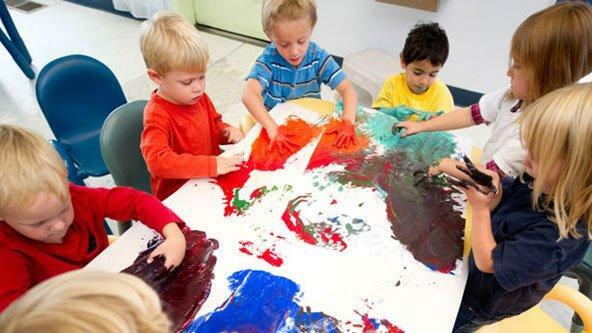 A Sageworks report released Thursday shows sales at U.S. day care centers have grown nearly 9 percent in the last 12 months. Between 2008 and 2012, sales increased on average by 6 to 7 percent annually. Net profit margins rose to about 7.5 percent in the last 12 months, Sageworks added. “On average, the industry has a healthy net profit margin and somewhat consistent sales growth,” Sageworks analyst Libby Bierman noted in the release. The growth is also obvious in the number of day care facilities, which almost tripled between 1987 and 2007. According to the Census Bureau, there were 766,401 child care facilities in 2007, up from 262,511 in 1987. An increase in the number of working mothers is one of the main drivers of the demand. Additionally, it has become relatively easy to start a day care facility: “Nine in 10 child care businesses don’t have employees other than the owner, and these businesses, many of which are operated in-home, require less financial investment than large centers and therefore, allow owners to readily enter and exit the market as needed,” according to Sageworks. Operating a day care has its downsides. Sageworks noted that it can be an ongoing struggle to balance expenses with parents’ ability to pay. And along with increasing demand, scrutiny from customers and government agencies is also on the rise. “It comes with the territory,” Sageworks noted. Several states including Arkansas are considering changing requirements to open a day care. Some of the proposals include getting rid of behavior charts, changing the child to staff ratios and not allowing trampolines or ball pits. While it’s good news for parents and it will hopefully curb the numbers of incidents involving children, it will likely also increase expenses for day care facilities. Would You Drink Water from Cow Poop? 10 Affordable Housing Markets—On the Beach!